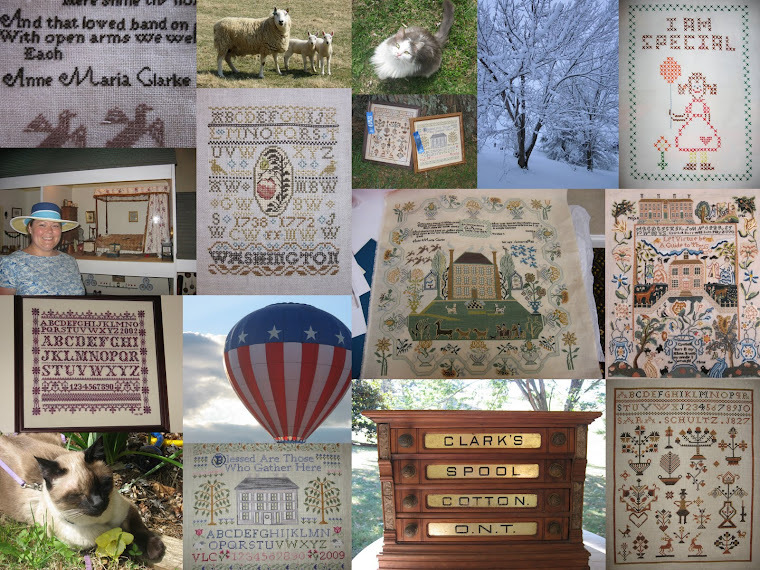 A Shenandoah Sampler: Going to pick "Blessed Be..." up again! Going to pick "Blessed Be..." up again! Yes, I have finally decided to pick up "Blessed Be" again. I was so disgusted with the MAJOR mistake that I made that I could not bring myself to work on it for quite awhile. I guess it was October when I last stitched on it??? My inspiration was my trip to the LNS yesterday. I have decided to take the piece in to the WONDERFUL lady there and ask her opinion. I really want to finish this before Christmas. At least then I can say that I finished at least one WIP before 2010 is upon me. I am hoping that my trip to the LNS on Saturday is a fruitful one!